SCARCE wants to help your organization be Idle-free. 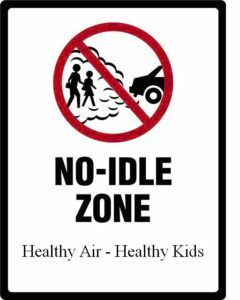 Eliminating vehicle idling promotes healthier air, healthier kids, and saves money. What are you waiting for? Does your school parking lot look like this at the end of the day? A long row of cars, engines running, lights on, radio playing, a/c or heat blasting while they wait to pick up their kids from school. Kids run out the school doors and take a nice, deep breath of fresh…car exhaust?!? It’s safe to say that no parent wants to expose their kids to unnecessary health hazards. Most of us probably don’t even think about our cars emitting toxic fumes that can seriously impact young lungs (and our own, of course). It’s easy to forget. Car exhaust is essentially colorless so we don’t even see that our cars are emitting fumes. Imagine if our tailpipes belched out purple smoke – a lot of people would think twice before walking next to a row of idling vehicles. What’s a person to do? Turn off your car, of course. Next, educate others. These signs from School District 45 use clear language. SCARCE has these signs available for free for organizations in DuPage County. 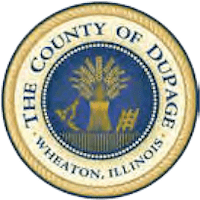 If you are a school or organization in DuPage County – contact us at SCARCE. 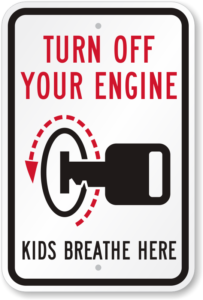 Thanks to the DuPage Foundation and the DuPage County Division of Transportation, we have free signs that you can post in your parking lot where cars idle. For best results, don’t stop there. An education and awareness campaign that involves students, parents, and school representatives is a must. The US EPA has an Idle-Free Schools Toolkit available for free download. The program can be integrated into science curriculum and is an awesome way to involve students. CCSD93 in Carol Stream worked with SCARCE to get signs and made a great anti-idling video to educate their community. Based on the success of CCSD93, the Healthy Schools Campaign worked with SCARCE to write a 7-Step Community Engagement Plan to reduce idling. Turn off those Diesel-fueled Buses, It’s the Law! Cars aren’t the only culprits, of course. 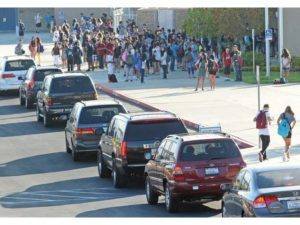 School buses often idle while waiting to pick up or unload students. Diesel exhaust is classified as a probable human carcinogen. SCARCE worked with the Illinois Environmental Council to pass a state law restricting idling for large diesel engines in 2006. It is illegal for diesel vehicles over 8,000lbs to idle for more than 10 minutes in a given hour. (There are some exceptions for extreme weather). In the city of Chicago, the limit is more strict, idling is limited to 3 minutes per hour. Many schools have voluntarily adopted a stricter 5 minute rule for school buses, given the greater health hazards for kids. 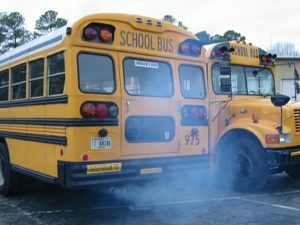 You can read more about school bus exhaust here. Education is the key to success – even when signs and laws are in place, they don’t do us any good if no one is aware of them or the reasons underpinning them. Kids’ lungs are more susceptible to environmental pollutants than adults’. Not to mention, children are shorter and therefore closer to the level of car emissions. When exposed to the toxins in car emissions, kids are at a higher risk of developing asthma, respiratory problems, and other adverse health problems. In Illinois, asthma is the number one chronic illness in children and the leading cause of missed school days (source). For the child, that means less time learning. For a school, missed days affect student success and can also mean less funding for each day absent. Every child has the right to a healthy and safe learning environment. “Hold up” – you say – “isn’t it more efficient to leave the engine running rather than turning it off and on?” That’s a common misconception that did in fact used to be true. Cars are much more efficient now though so idling for more than 10 seconds wastes more gas than restarting. Need more explanation? Check out this video. Cars don’t need as much time to warm up in cold weather anymore and turning your car off prolongs engine life. Two minutes spent idling is equal to one mile of driving. Check out some more myths busted and other staggering figures about idling from Sustainable America’s Turn it Off campaign. Eliminating idling makes sense for our cars, makes sense for our health, and makes sense for our environment. Idling less is good for your wallet, too. With the high concentration of both vehicles and children, the school or daycare parking lot is the obvious place to start. Better health, cleaner air, more kids in school, and a fatter wallet. It all adds up to a simple and smart solution. You may be scratching your head wondering, why didn’t I do this sooner? Teen Activist Pushes Town to Go Idle-Free (Jan 2016) – A young boy started an idle-reduction campaign in third grade and grew it to be a town-wide resolution. Some great ideas – including a very impactful letter to local news outlets.